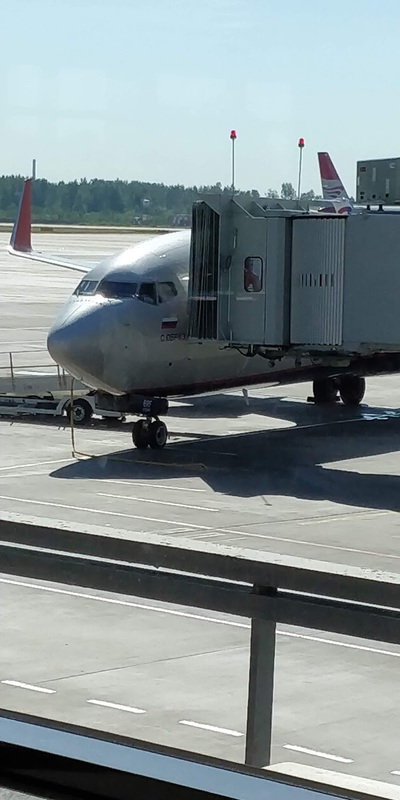 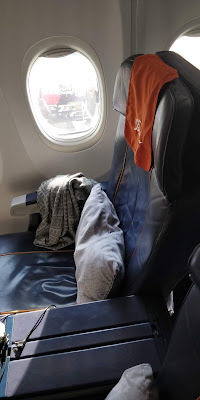 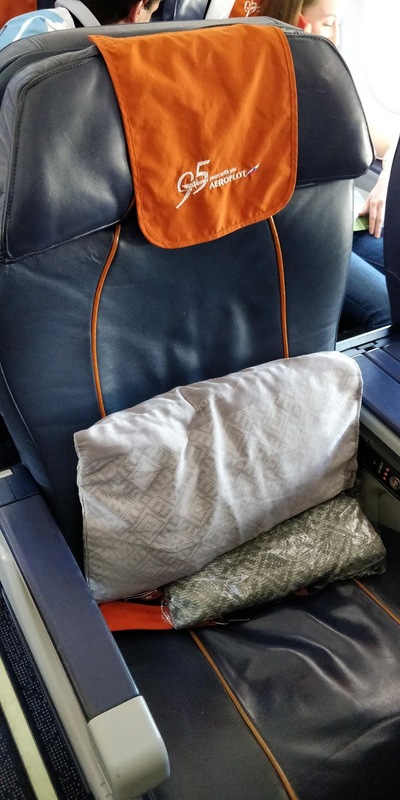 This was a short hop to Moscow on-board a lovely Boeing 737-800 with BSI. 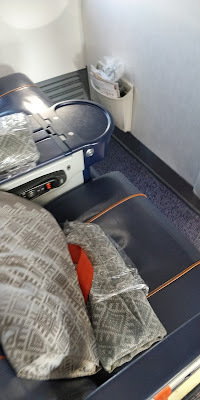 Boarding was a bit chaotic with one giant line for both economy and Business Class. 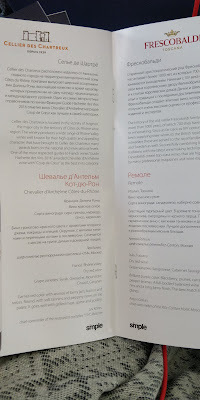 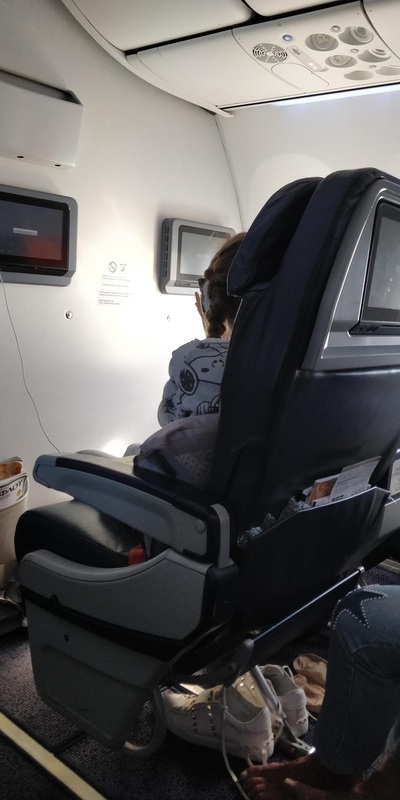 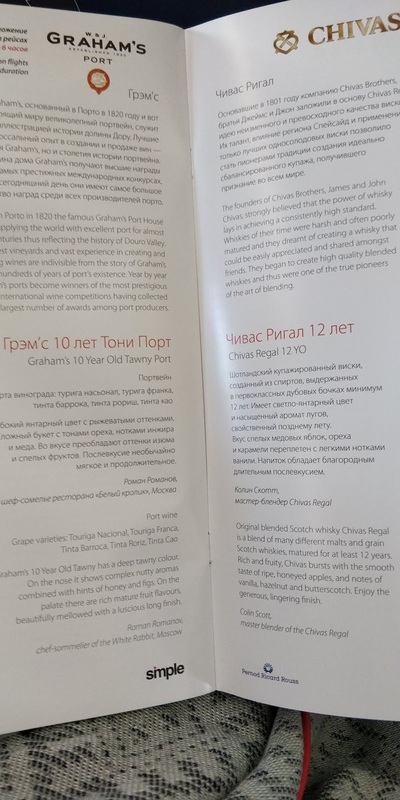 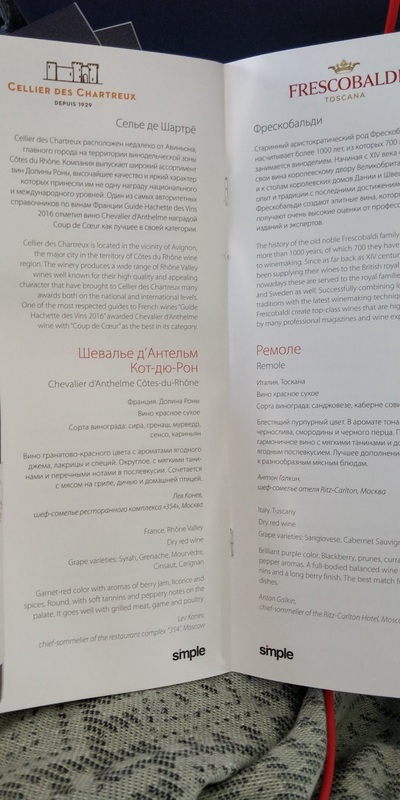 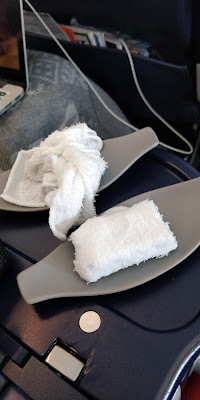 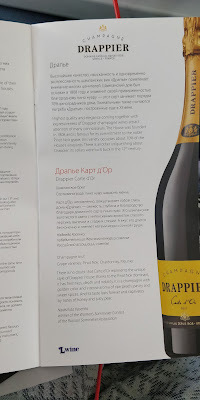 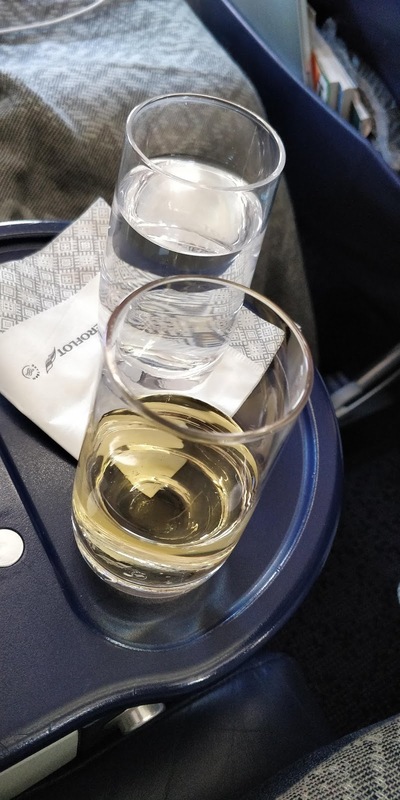 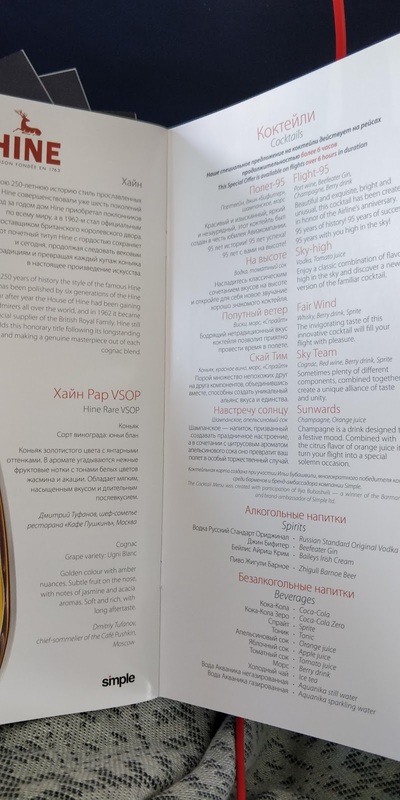 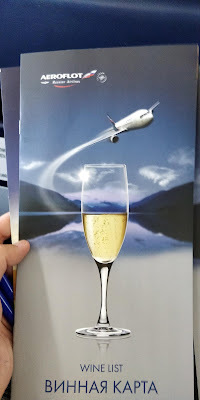 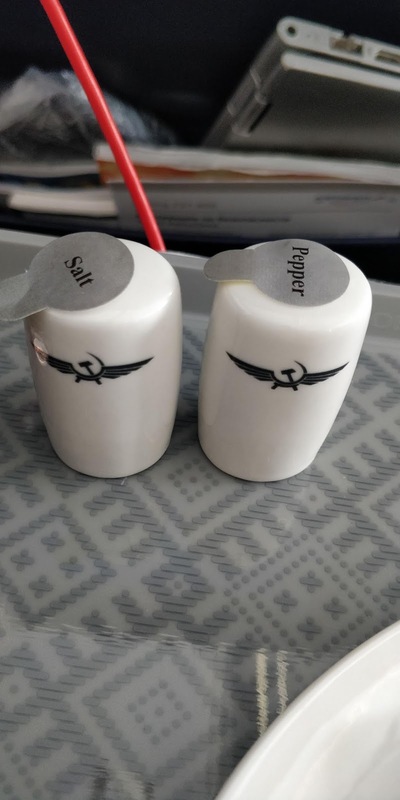 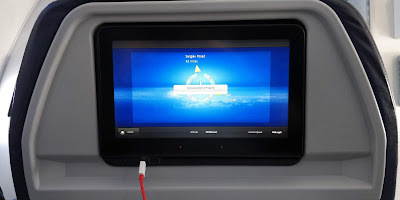 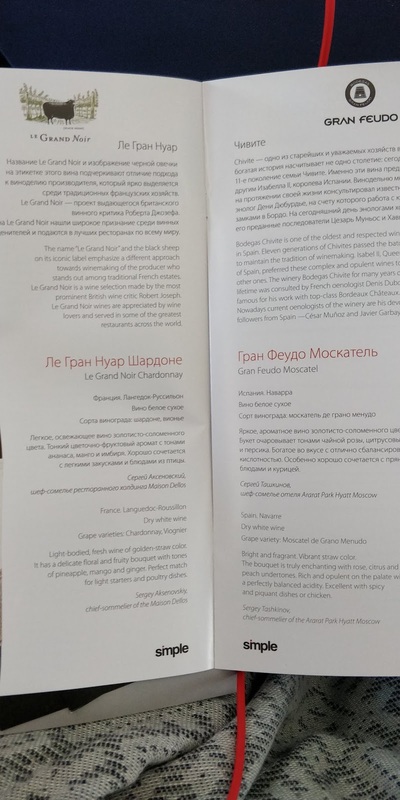 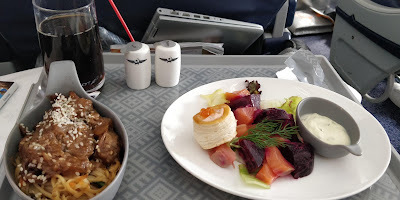 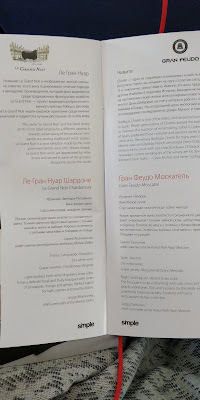 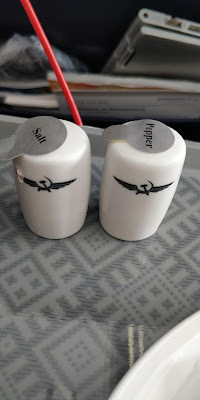 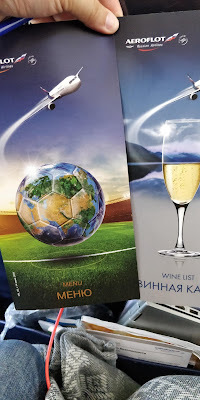 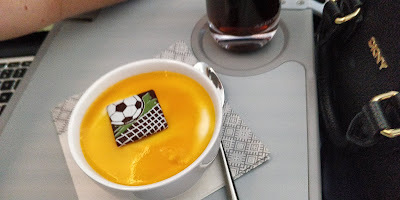 But once aboard we were welcomed by the Cabin crew and surprisingly for a short one hour hop a menu was distributed where passengers could select what parts of the meal options they preferred as well as a choice of beverages. 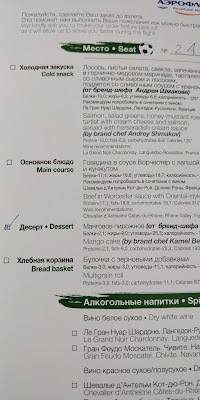 My wife just picked the dessert while I tried the appetizer (salmon with a beetroot salad) and main dish just to get some photos. 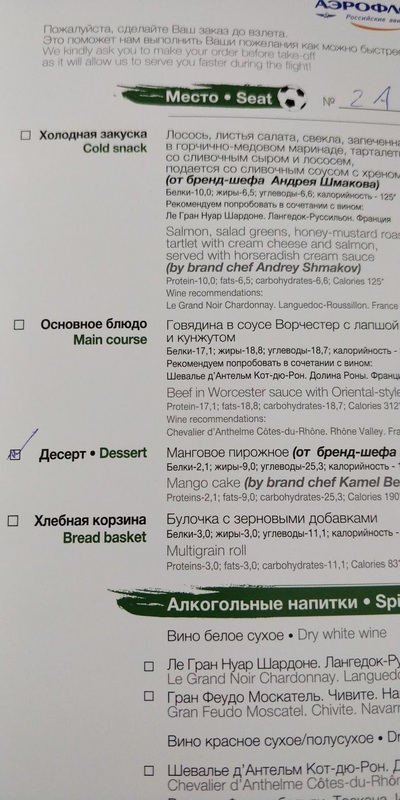 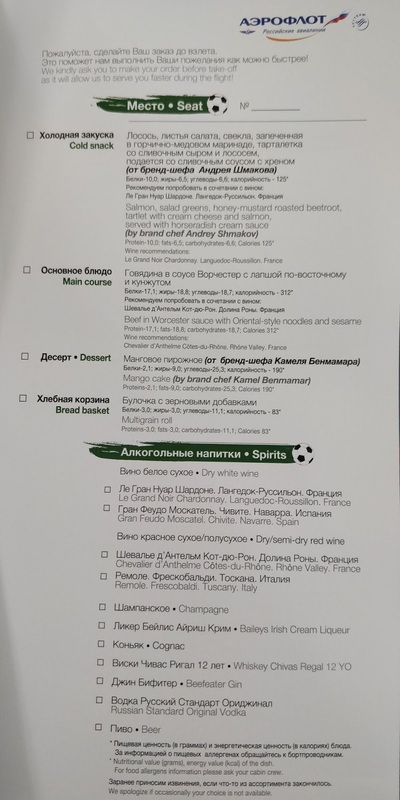 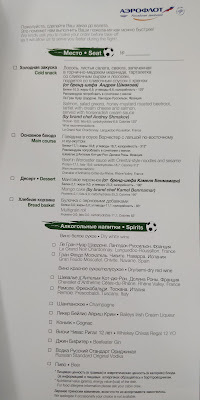 The meal was substantial and they even had Coke Zero (which was welcomed after the terrible Rossiya flight we had a few days earlier). 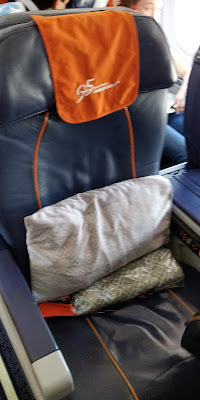 A short while later we landed in Moscow and did the transit towards our international flight.